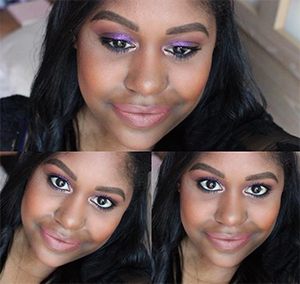 Hey guys I'm back with another makeup look which I hope you will like it's a purple base makeup look with purple eyes and lips with a pop of pink shadow and liner. 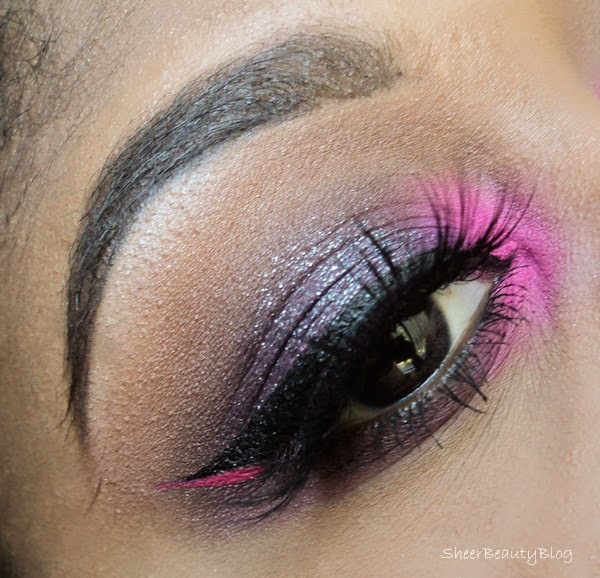 Love the pop of pink and that flick on the other side too! 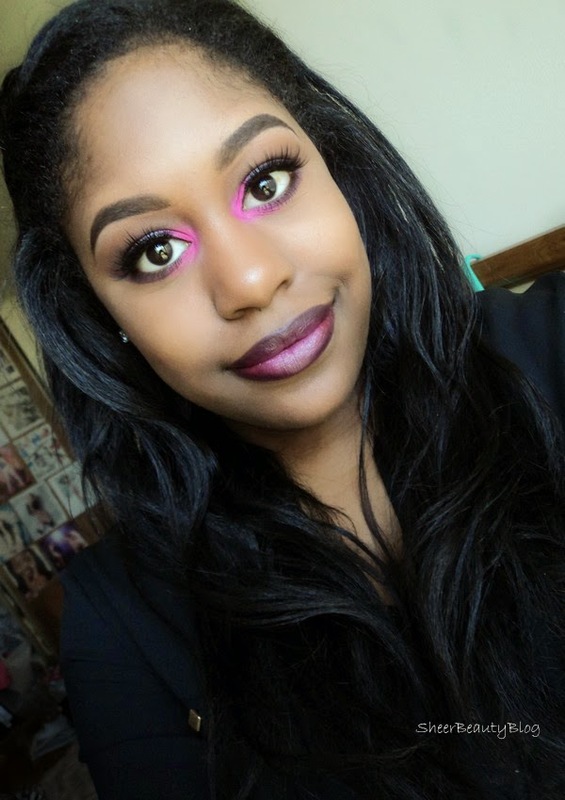 The lashes really make your eyes just pop! Gorgeous! I'm always nervous to do a dramatic eye look because I'm too self-conscious. 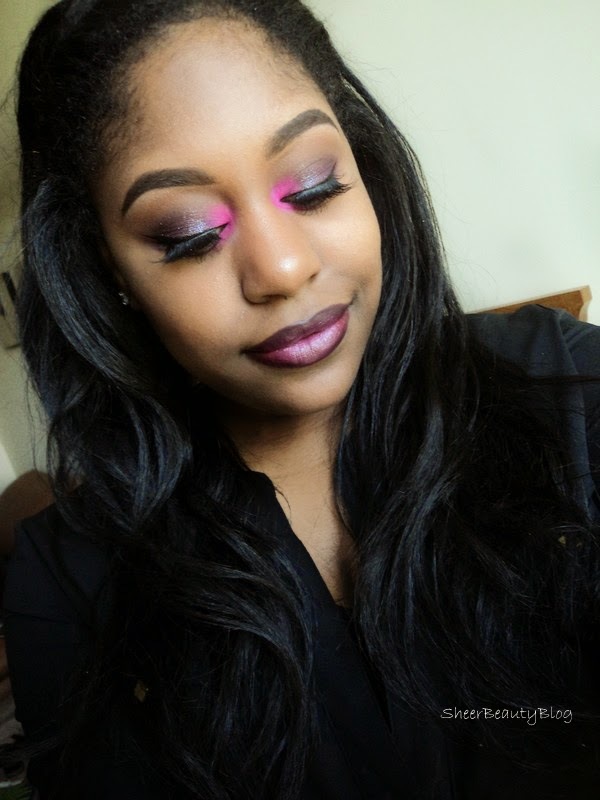 Maybe I'll have to dust off my falsies and try something bold the next time I go out! 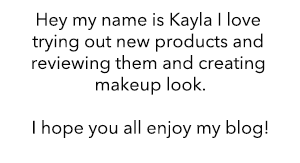 Ooh Kayla I love this! I can totally see this as a dramatic runway type of makeup. Very cool!